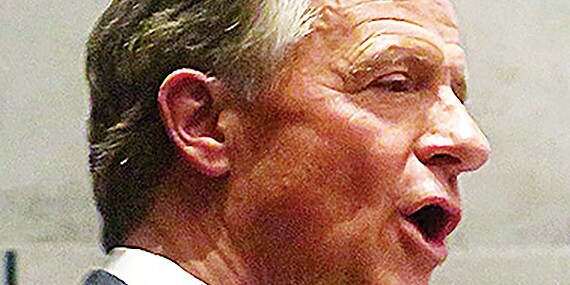 NASHVILLE — Governor Bill Haslam's State of the State address Monday night to legislators at the state Capitol was, in essence, a brag list. 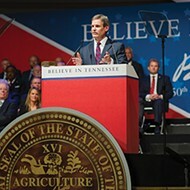 Recalling his first State of the State back in 2011, Republican Haslam remembered, "I stood before you and said, if we will make the right plans and decisions, then the state of Tennessee can compete with any state in the nation." 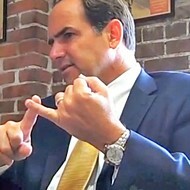 Haslam made it clear he thought he had succeeded. "We're doing really well. In the short time we've worked together, we have become one of the best destinations to live, work, and raise a family." 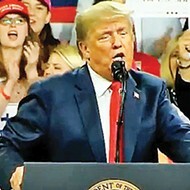 He continued with the kernel of his case: "Tennessee has a job growth rate greater than 17 percent, far above the national average, with nearly 400,000 net new private sector jobs created. "We've added more than $1.3 billion into K-12 education, with nearly $450 million more going to teacher salaries. And thanks to the hard work and dedication of our educators and parents, and the additional accountability to our system, our children are the fastest improving students in the nation, across math, reading, and science. "And you'd think we did all of this by raising taxes the way other states have, but in Tennessee, we've cut taxes by $572 million annually, with policies in place to reduce taxes even more in years to come. 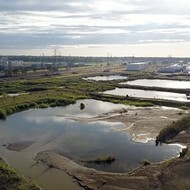 "Additionally, we've cut year-to-year spending by $578 million. Most states would have found such a task insurmountable, but we didn't just do these things, we did them while tripling the Rainy Day Fund and decreasing our debt." 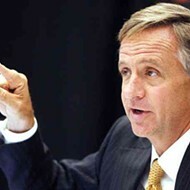 Haslam attempted to draw hard and fast connections between his education policies and job creation. "Our unemployment rate has dropped from 5.1 percent to as low as 3 percent, the lowest rate in our state's 222-year history. Simultaneously, "In education, Tennessee students are posting the largest gains in the country and the highest high school graduation rates the state has ever seen. And while other states struggle to improve access to higher education, we created Tennessee Promise and Tennessee Reconnect, so that all Tennesseans have access to college, free of tuition and fees." Expressing a motto of "the best possible services at the lowest possible cost," the governor said, "We've cut $578 million in taxes, including a nearly 30 percent cut to the tax that everyone pays, the sales tax on groceries. We've set a schedule to end the Hall income tax, and we have already eliminated the inheritance tax and the gift tax." Haslam did not fail to remind his listeners of his success last year in getting the passage of the IMPROVE Act, with its gas tax increase to fuel infrastruture improvements. "By providing a safe and reliable transportation network, we're making sure the next generations of Tennesseans have access to the high quality jobs made possible by a robust transportation system." Beyond his litany of claimed accomplishments, Haslam put forth some goals for his last year and for whichever successor will be elected governor in 2018. "This evening, I am proposing a bold new challenge. I want Tennessee to lead the nation in jobs, education, and government efficiency. I don't just want us to compete; I want us to be the best. ... But to lead the country, we must continue to push forward." 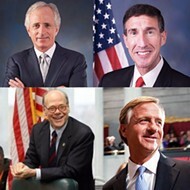 Haslam pushed several new initiatives: e.g., a "Complete to Compete initiative, which, through appropriate levers and resources to students, will ensure that they start strong, receive support to stay on track, and make it to graduation day"; "the Juvenile Justice Reform Act of 2018," with an emphasis on "responsible reforms that will focus the most significant state intervention on the most serious offenses"; and the new "TN Together, a comprehensive plan to end the opioid crisis that focuses on prevention, treatment, and law enforcement." Haslam concluded on a note of heady self-confidence; "[T]he momentum we have created will make us the most effective state government in the country. It has been my life's greatest honor to lead the state I love for the past seven years. Will you join me in finishing what we began? Tennessee, it is time to lead the nation. I believe we can, and I believe we will." While members of the General Assembly in general gave Haslam's remarks respectful attention and occasional standing ovations, in the aftermath, many members of the Democratic political opposiion were not as enthusiastic, finding his prescription for curbing the state's opioid epidemic vague and insufficient and criticizing the lack of anything else substantive in the State of the State about health care.